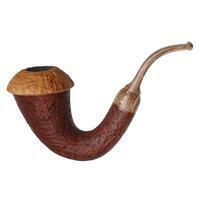 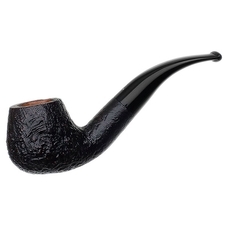 BriarWorks' Magnetic Calabash, originally designed by Todd Johnson, has become quite a popular shape among customers and staff alike. 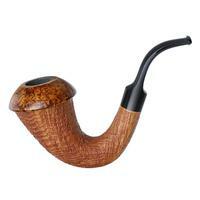 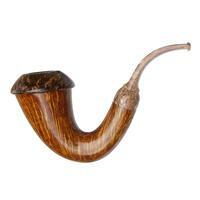 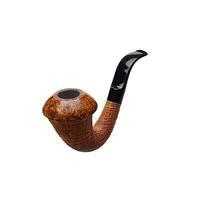 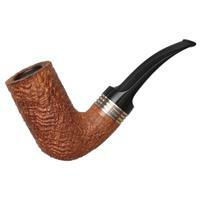 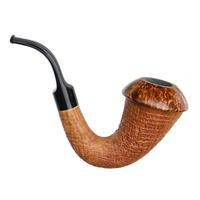 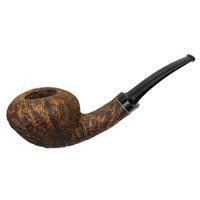 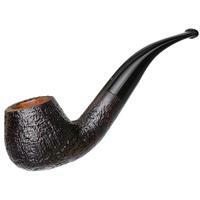 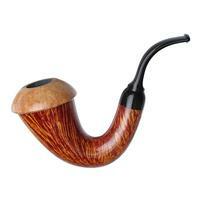 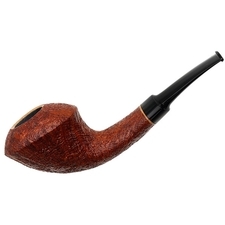 Here we see it dressed in a crisp, natural sandblast, revealing a dense ring grain pattern around the tapered stummel. 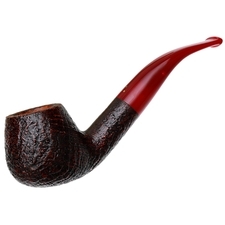 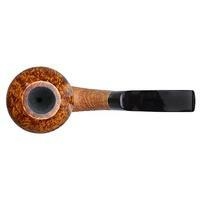 The high-contrast, smooth cap complements the natural stummel well, though like all of these designs, said cap is held in place by a series of magnets and a foam inlay, meaning you can swap it out for one of the individual bowls on the site.